Amanda Summers: Here comes the bride! Her expression is..... just perfect! What a beautiful young bride she is! 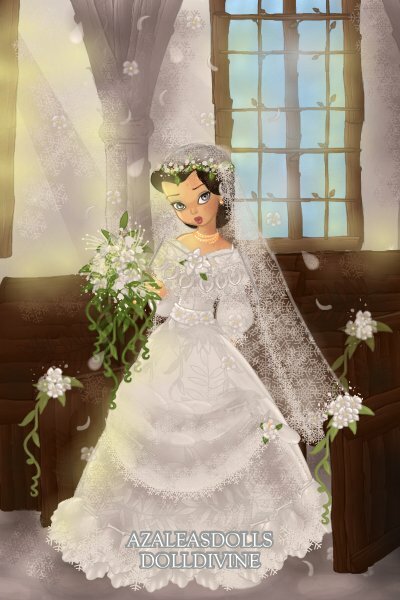 The dress is very elegant and fine and the wedding veil looks lightweight and fancy! The background is of course also become great! WHITE WHITE!!! What kind of spell is this...how do you always work magic on the pixie maker! This bride is probably the most beautiful I have ever seen! That veil, the background, the soft light...I need some time to process the awesomeness of this doll! And those floating petals, how on earth do you do it!